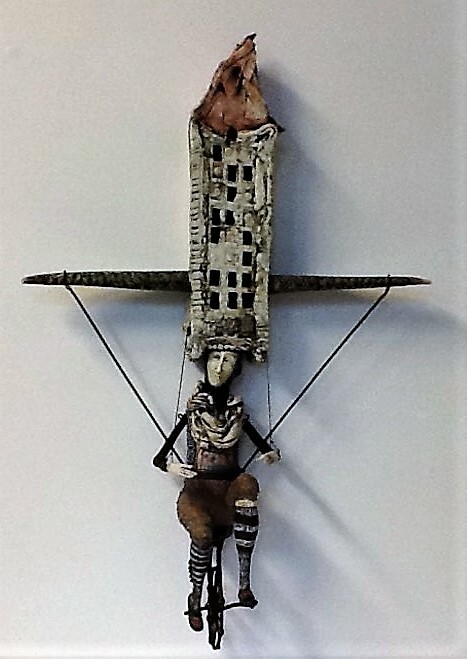 Home ARTISTS (G - L) Gumaelius, R. & J. 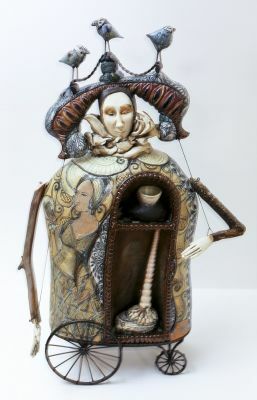 SOLD 9" x 6" x 4"
SOLD 12" x 9" x 9" ceramic, wood and metal. 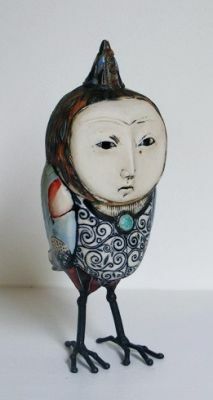 SOLD 13" x 9" x 5" ceramic, wood and metal. 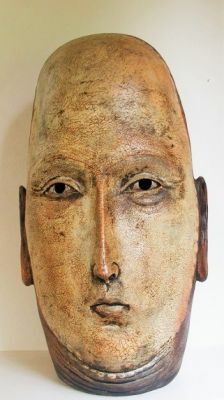 SOLD 24" x 9" x 10" ceramic and metal. 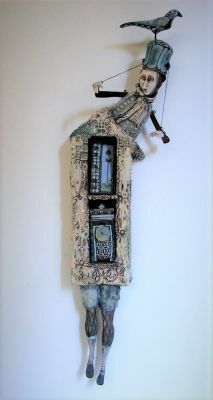 SOLD 32" x 17.5" x 9" ceramic, wood and metal. 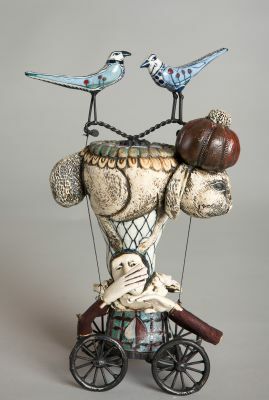 SOLD 19 1/2" x 14' x 7" ceramic, wood and metal. 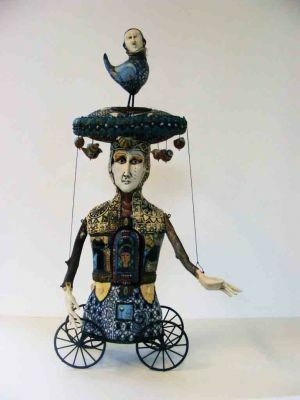 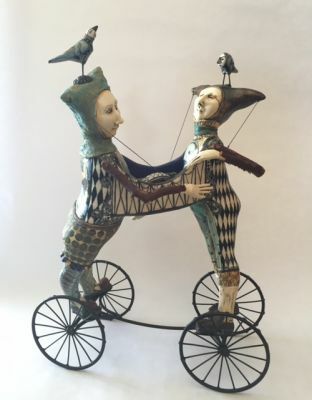 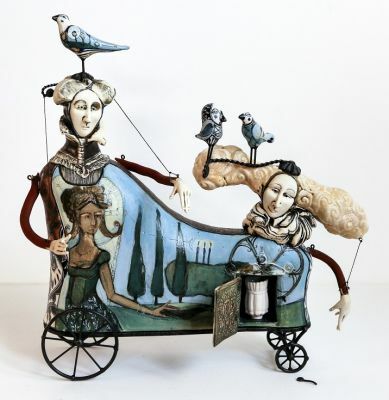 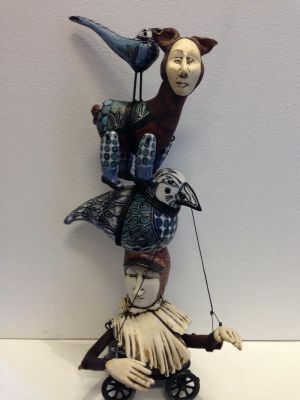 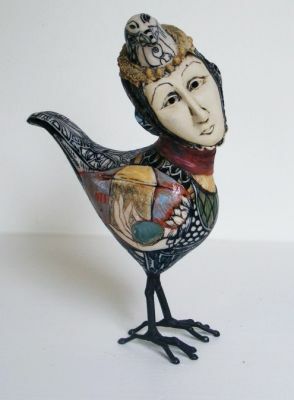 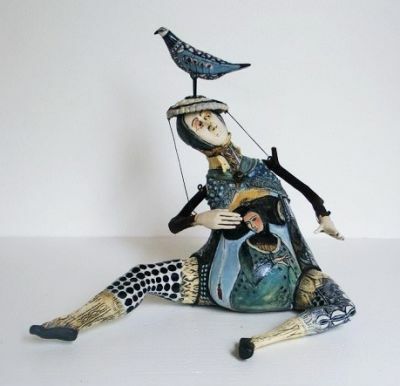 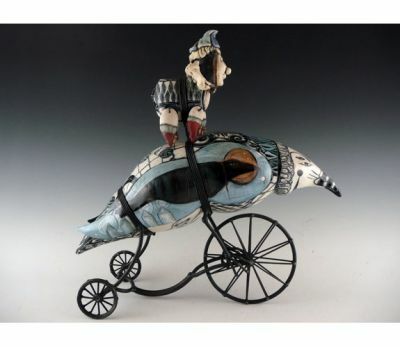 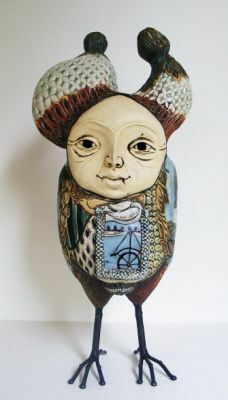 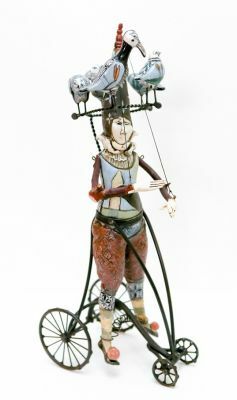 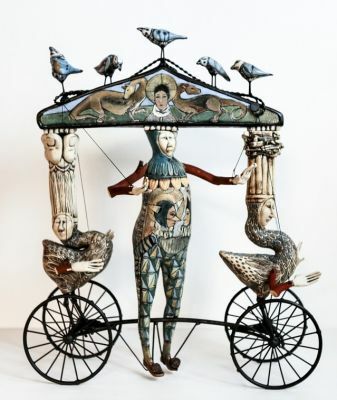 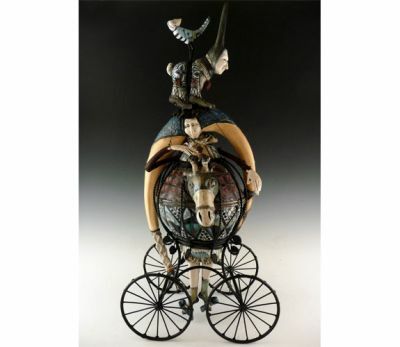 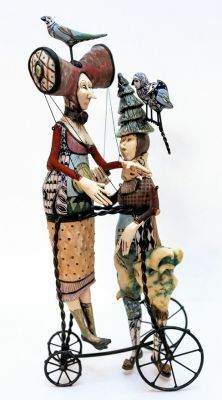 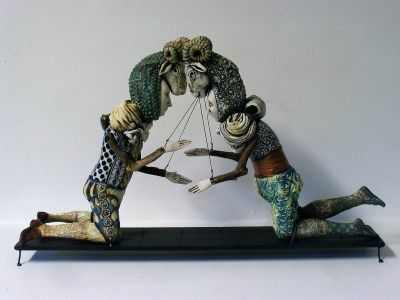 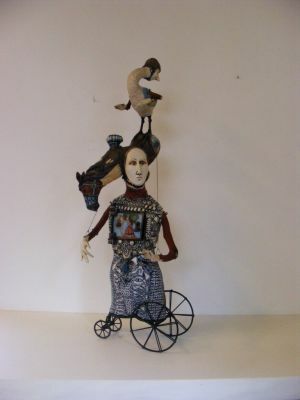 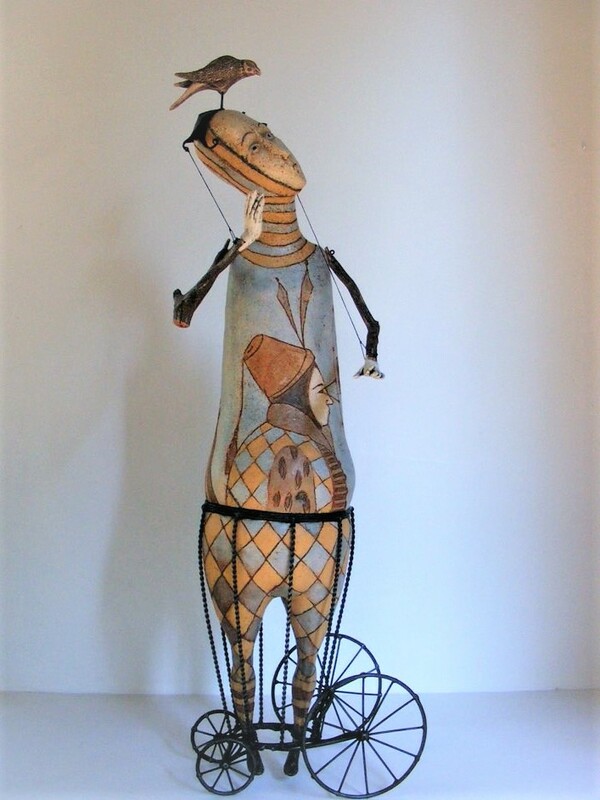 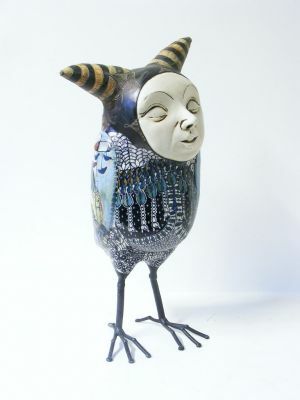 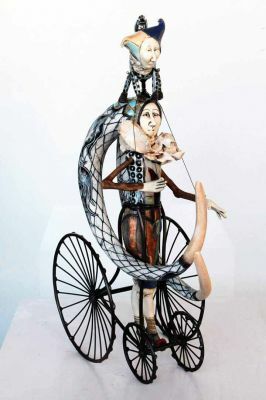 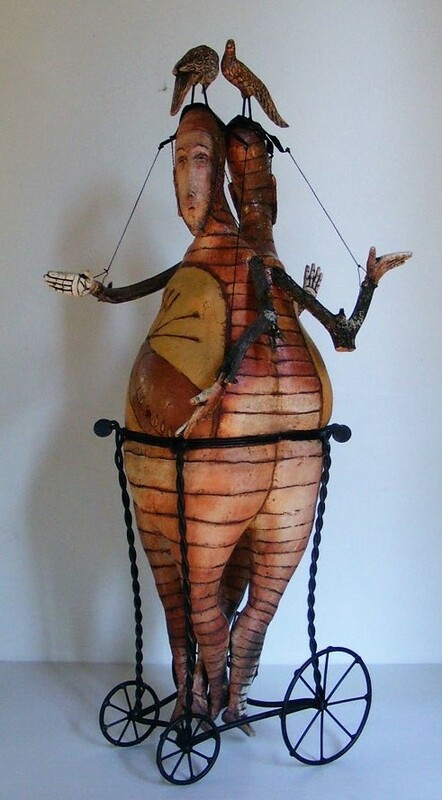 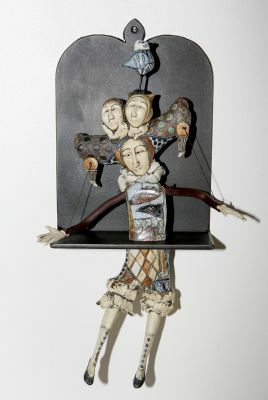 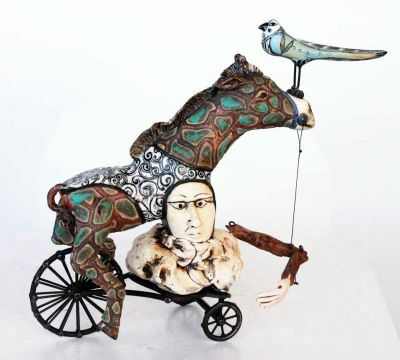 Collaborating artists and husband and wife, Robin and John Gumaelius incorporate steel, ceramic and wood to create animated human and birdlike sculptures. 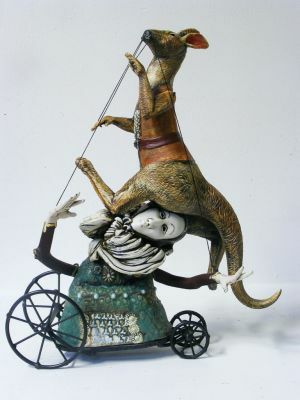 Their works are comical, bizarre and highly inventive. 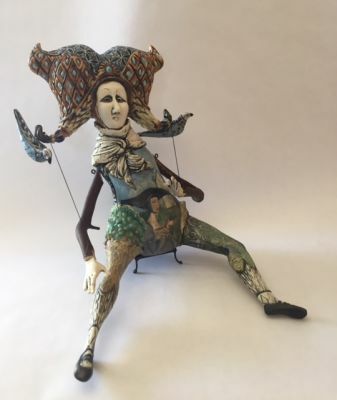 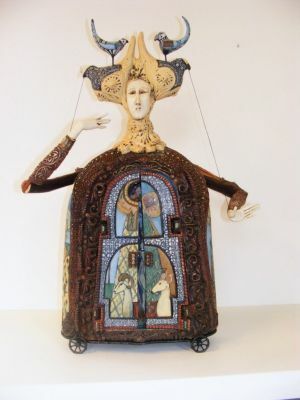 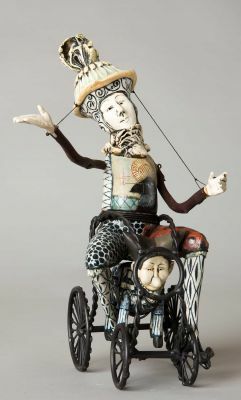 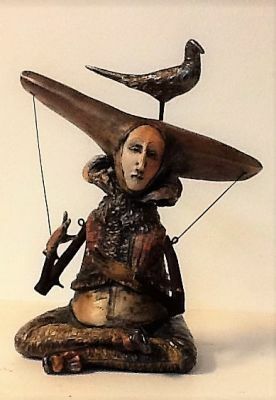 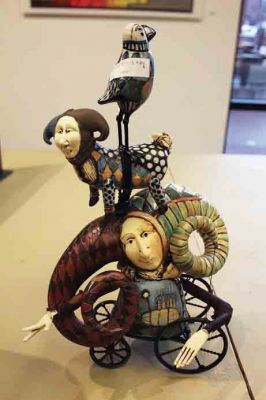 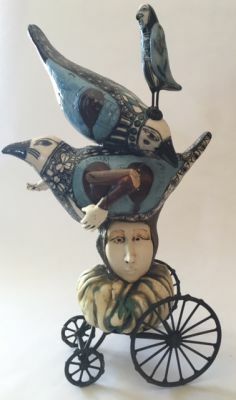 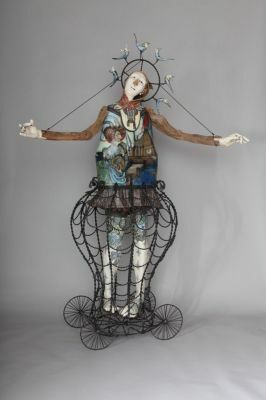 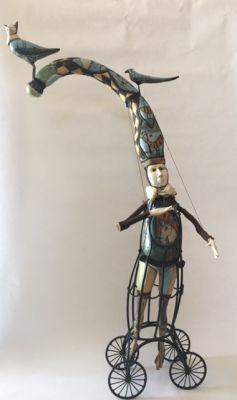 Each piece begins by Robin creating colorful ceramic surface imagery and complex decorative glazes; next John intercedes adding the exquisite metal armatures and wood appendages that bring the sculptures to life. 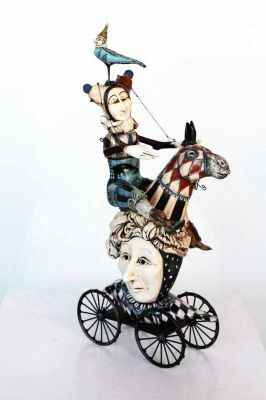 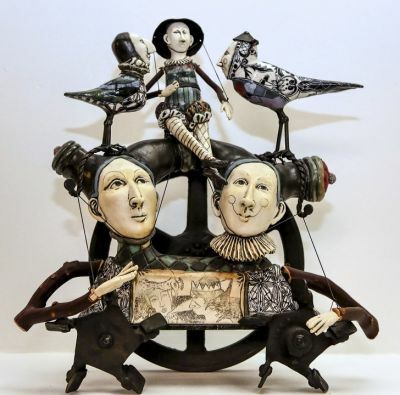 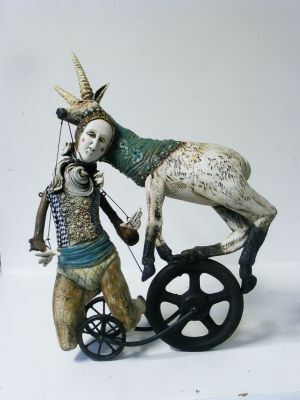 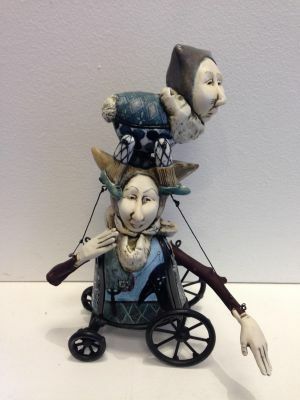 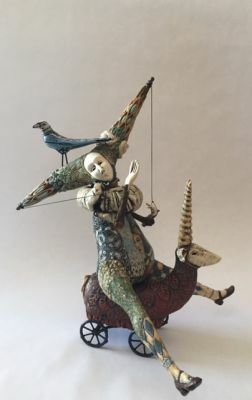 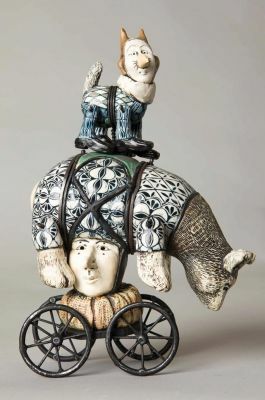 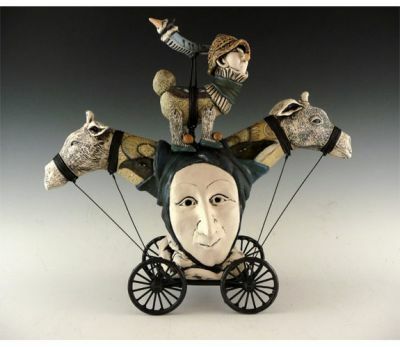 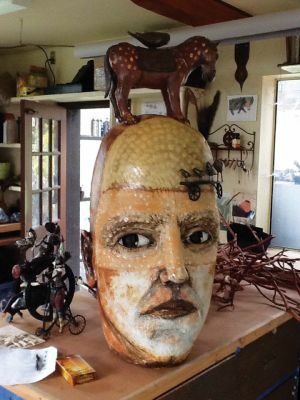 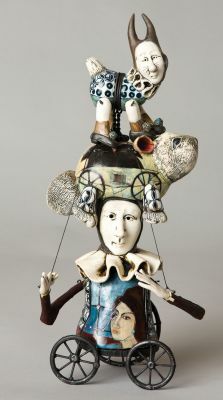 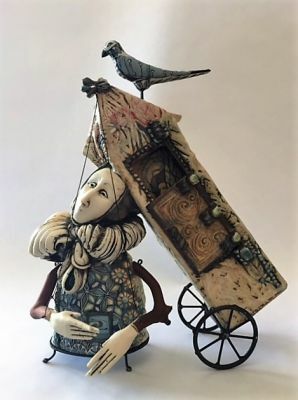 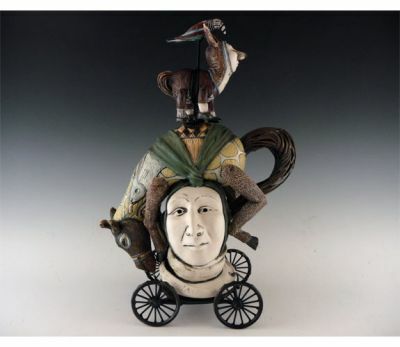 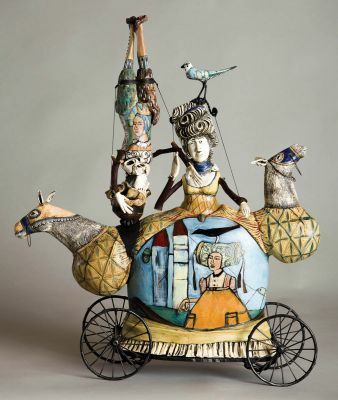 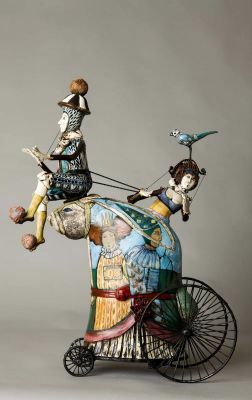 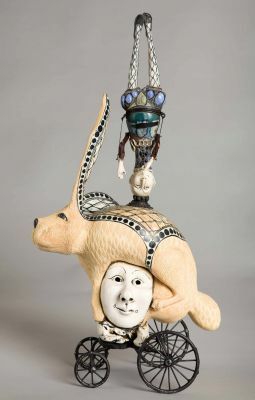 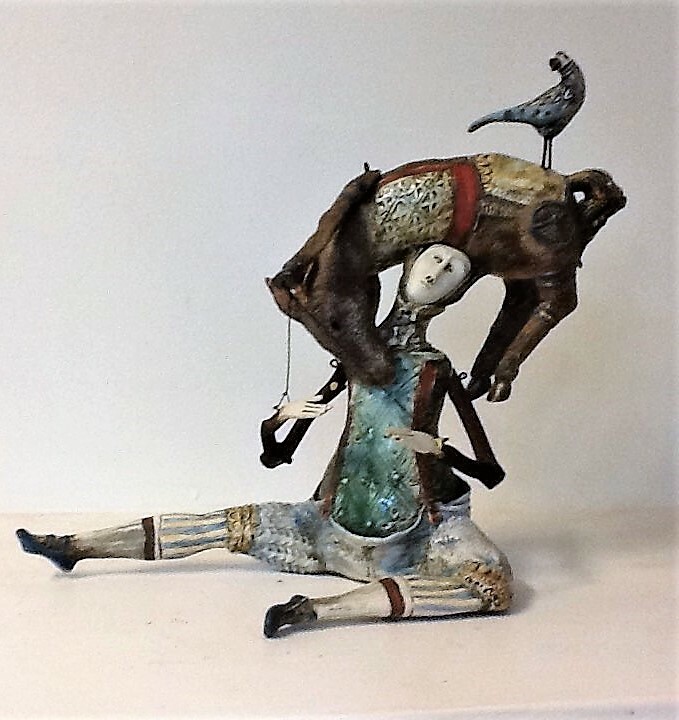 In their highly unusual working relationship, Robin and John combine both skill and imagination together as an artistic team to build a singularly unusual world out of clay and mixed media.